On October 10, 2018, California’s Division of Occupational Safety and Health (DOSH) issued an emergency proposal that would amend its State Plan to require designated employers in the state to electronically submit to federal OSHA their Cal/OSHA Form 300A, which contains data on occupational injuries and illnesses that occurred in 2017; under the proposal, the first submission is due by December 31, 2018. Beginning in 2019, reports would be due by March 2 of the year after the calendar year covered by the form (for example, by March 2, 2019, for the form covering 2018). The emergency proposal follows a series of actions that began in 2016 when OSHA issued regulations requiring affected employers to submit the injury and illness records through an online Web portal. OSHA delayed the deadline for compliance with the requirements several times, but data covering calendar year 2017 was due to the agency by July 1, 2018. Along the way, OSHA indicated that states with OSHA-approved State Plans would not need to require affected employers in their states to meet the submission deadline if the state had not completed adoption of the electronic recordkeeping rule. However, on April 30, 2018, OSHA announced a correction that required all affected employers to submit their 300A data to OSHA by the July 1 deadline, even if their states had not completed adoption of the reporting requirement. OSHA requires Form 300A electronic submission for establishments with 250 or more employees that are currently required to keep OSHA injury and illness records and establishments with 20–249 employees that are classified in certain industries with historically high rates of occupational injuries and illnesses. Submissions are made via OSHA’s online Injury Tracking Application. If OSHA establishes a new or revised standard, a State Plan must adopt its own standard that is at least as effective as the new or revised federal standard. With regard to OSHA’s standards governing employers’ duties to record and report occupational injuries or illnesses, a State Plan must adopt standards that are “substantially identical” to the federal standards. Employers subject to reporting should be aware that California’s December 31, 2018, submission deadline does not affect federal OSHA’s official July 1 deadline. Before issuing the emergency proposal, Cal/OSHA advised affected employers to submit their data to OSHA by the July 1 federal deadline, but as the state had not yet adopted the rule, it could not enforce compliance with that advice. OSHA has stated that it will accept submissions made after July 1, 2018, but those submissions are flagged as “late.” The Agency has not revealed if or how it will address employers that make late submissions. California is not the only state that has adopted a version of the electronic recordkeeping rule with a later deadline than that specified by federal OSHA; in South Carolina, for example, employers have until November 25, 2018, to submit their 2017 300A data. 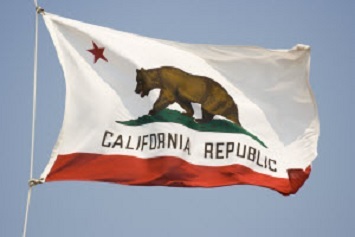 Finalization of an emergency proposal in California occurs quickly—5 days are allowed for public comment and 10 days for review by the state’s Office of Administrative Law. Once approved, the emergency rule is effective for 180 days, during which DOSH proceeds with normal rulemaking. The proposal is available at https://www.dir.ca.gov/dosh/doshreg/Recording-and-Reporting.